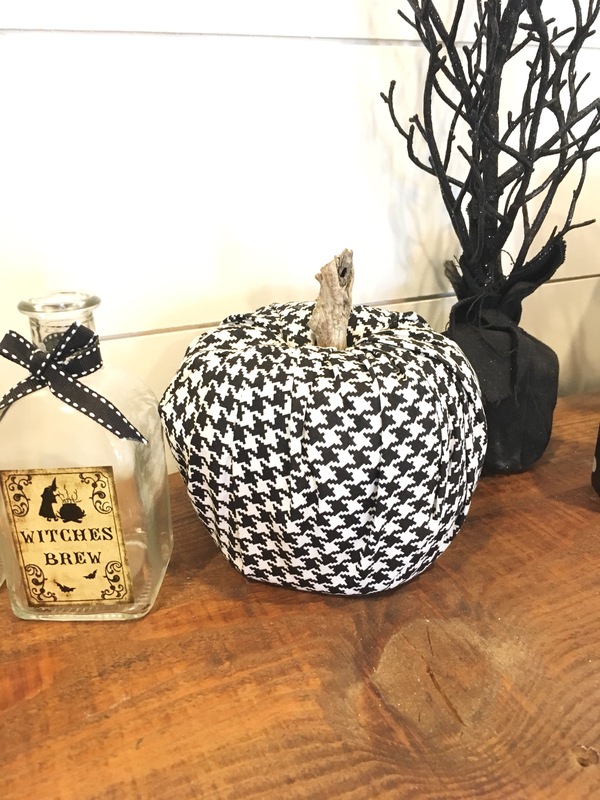 I pulled out all of our fall decorations the other day and had fun getting the house looking a little more festive. 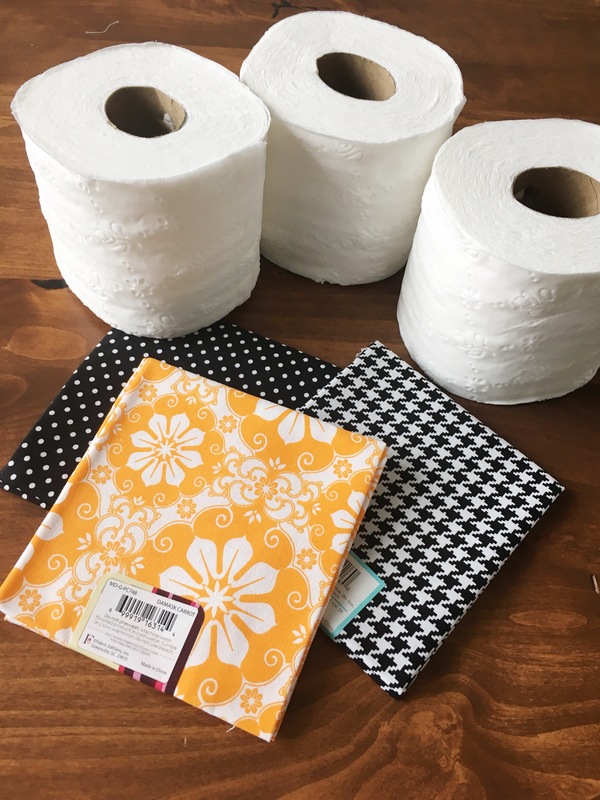 I decided I wanted a few more small decor items, but didn’t want to spend very much money. 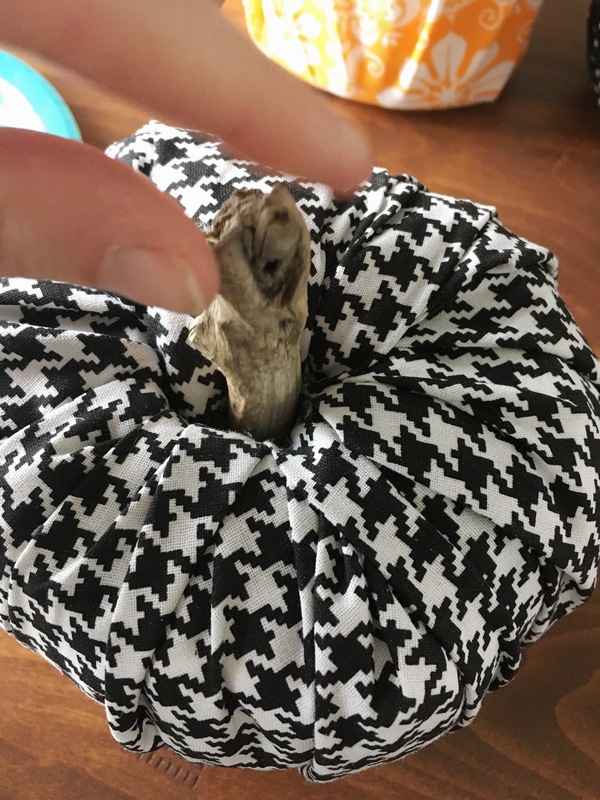 My friend showed me how to make these toilet paper pumpkins a few years ago, and I knew they would be the perfect addition to my house this fall. 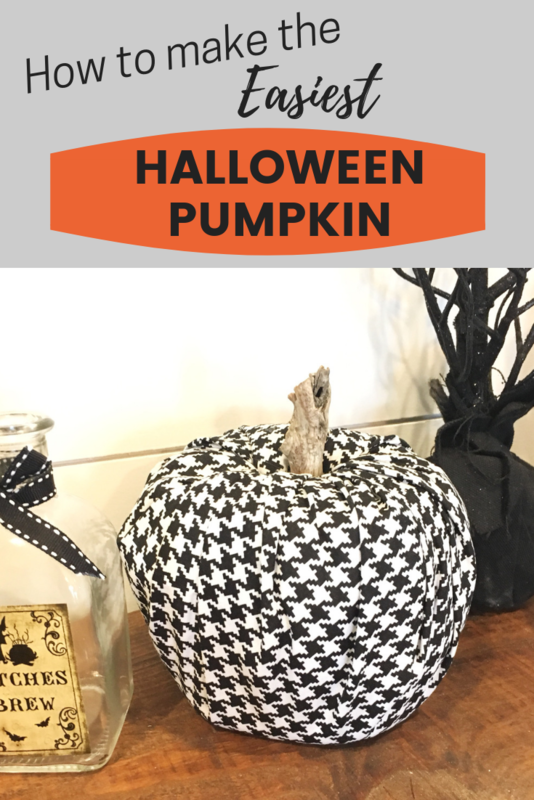 The best part about these pumpkins is they cost less than $1 to make! Yep, you read that right! 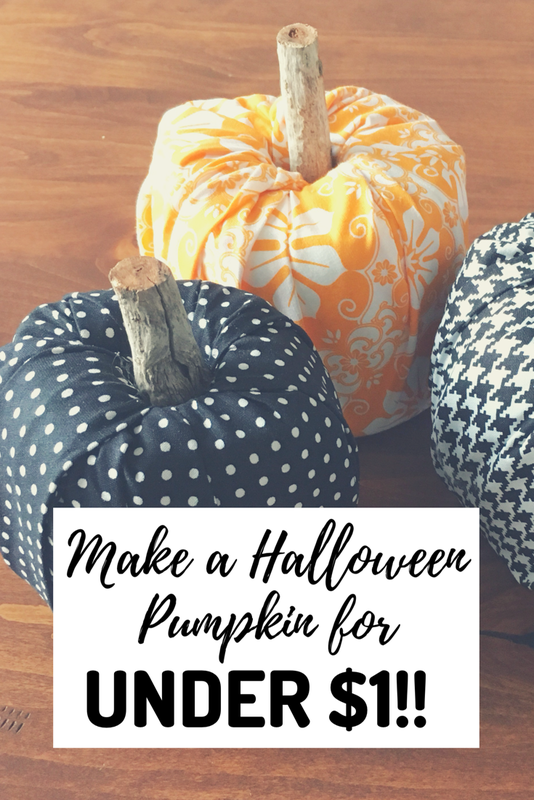 The only item I bought for these pumpkins was the fabric for 97 cents each. If that’s not frugal, I don’t know what is! 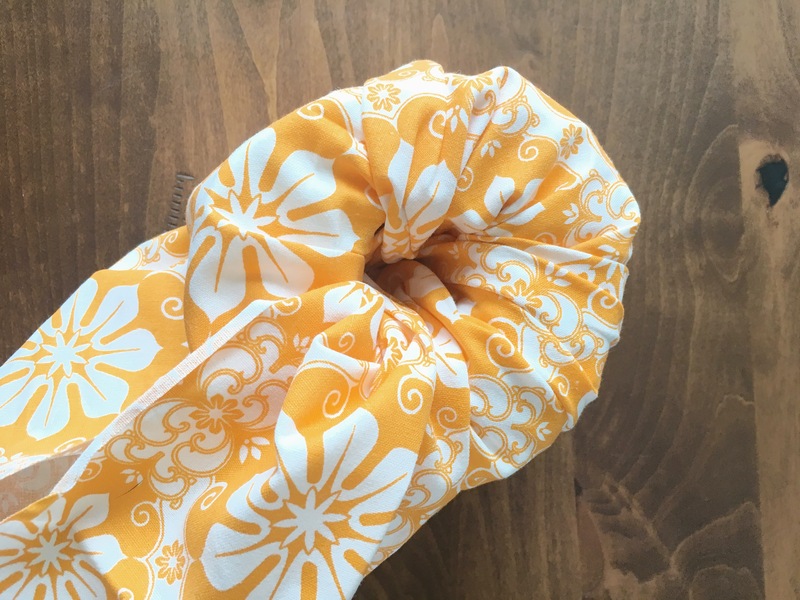 Not only are these crazy cheap to make…..they are also one of the easiest crafts ever! I spent less than an hour making all three of these darling Halloween Pumpkins. Lay the square of fabric right side down on the table. 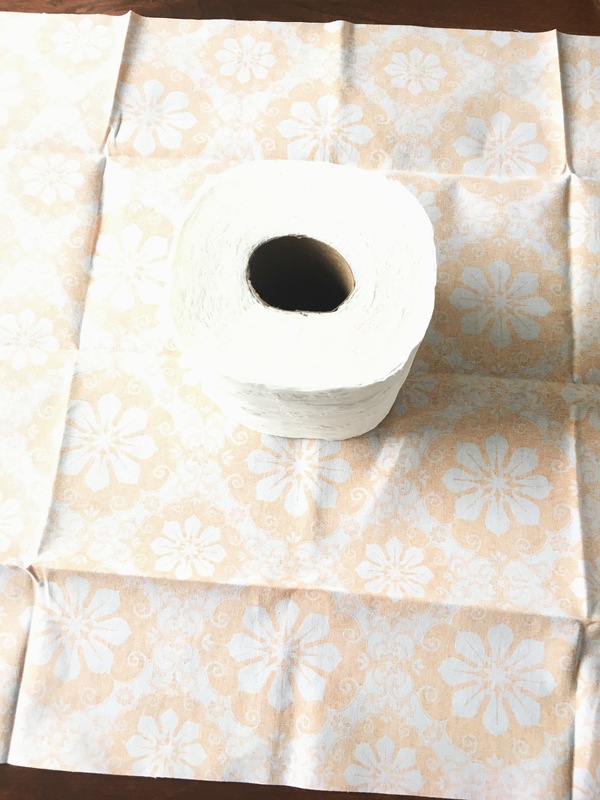 Place your toilet paper in the middle. 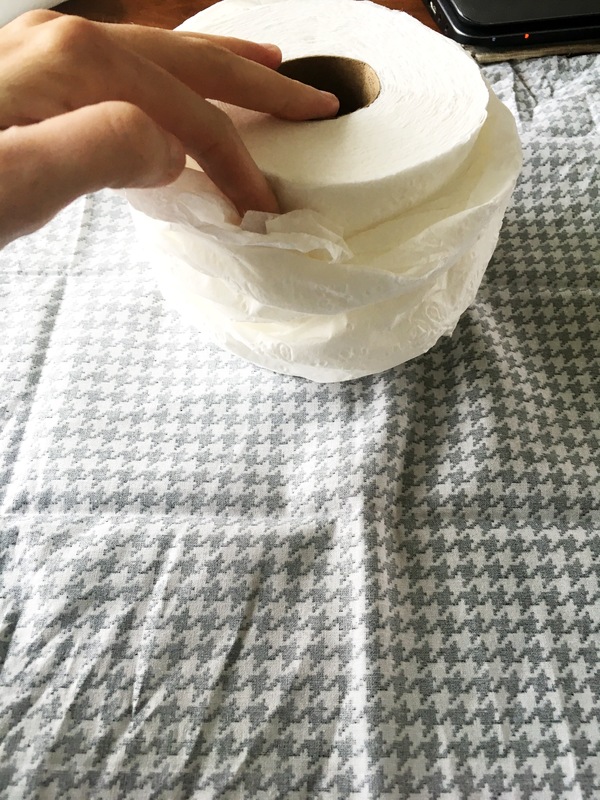 Now, tuck the ends of the fabric into the middle of the toilet paper. 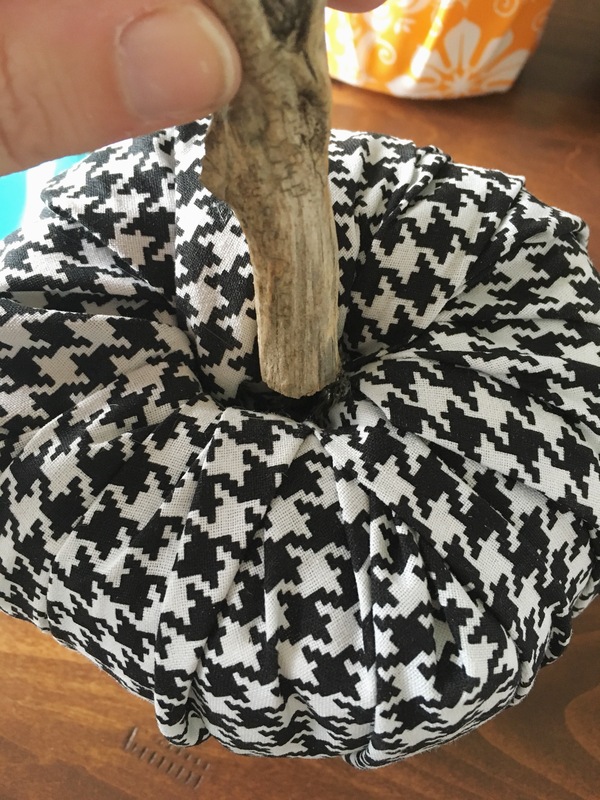 I try to pull the fabric tight as I go, this helps makes some cute textures and creases for the pumpkin. 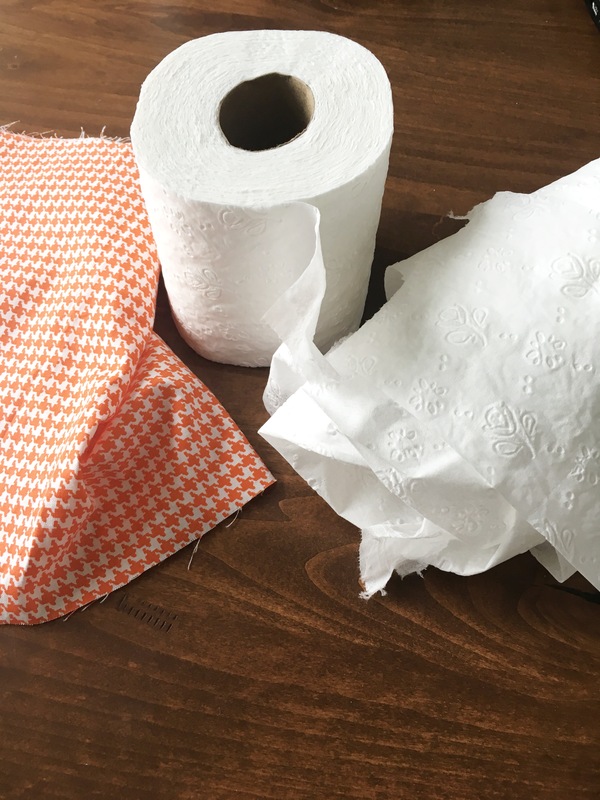 Keep stuffing the ends of the fabric into the toilet paper roll until all the ends of the fabric are hidden. You are almost done! 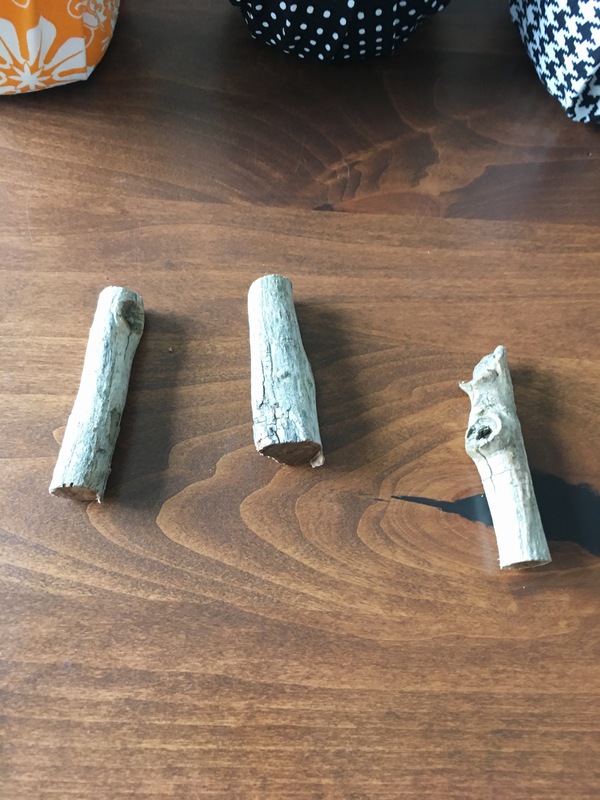 For the stem, I simply went into my backyard (or you can try to search a park) and cut a piece of a twig to the size I wanted. Hot glue a small amount of glue into the middle of your pumpkin. Stick the twig into the hot glue, making sure it is sticking up correctly. And you are done! Easiest thing ever, right?!?! 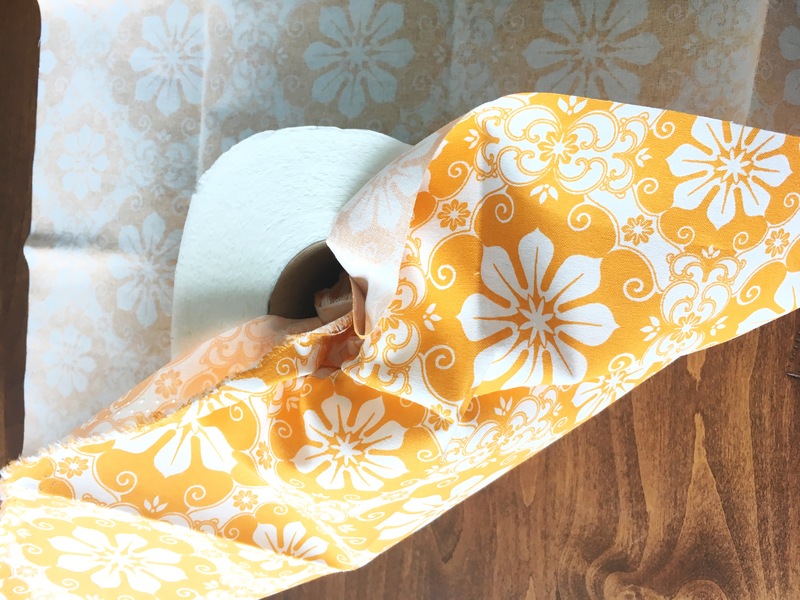 You can play around with the toilet paper to make different shapes and sizes. 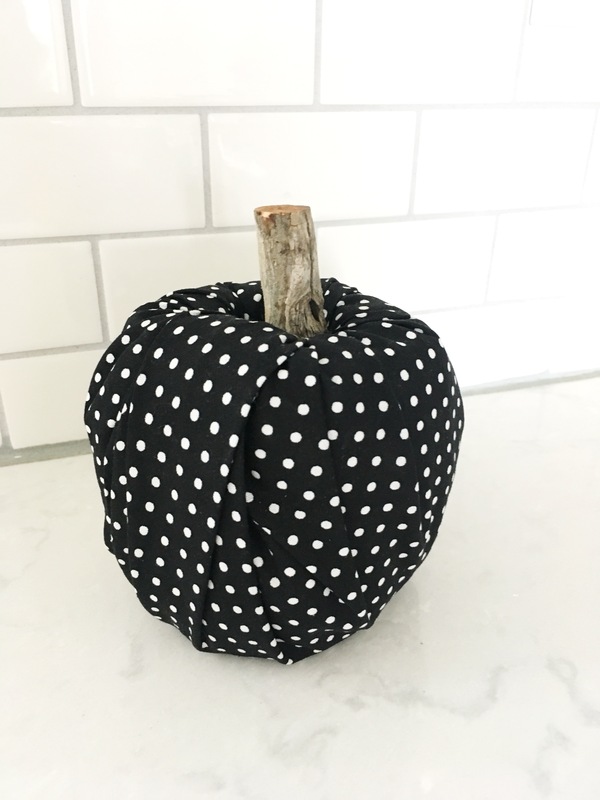 For the polka dot pumpkin, I took off about 1/4 of the toilet paper to make a smaller pumpkin. 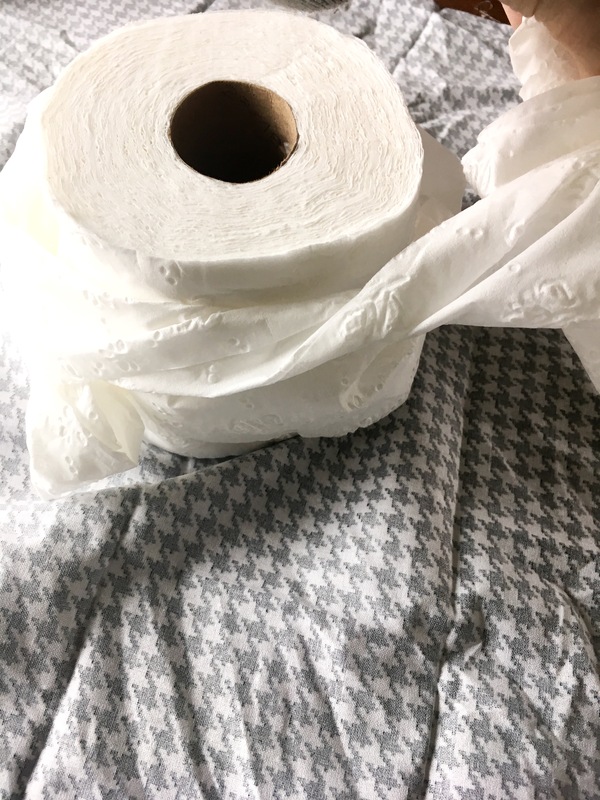 I also wrapped some toilet paper loosely around the entire roll. This gives it a slightly more rounded look. I wanted my other black pumpkin to be a little bit larger. 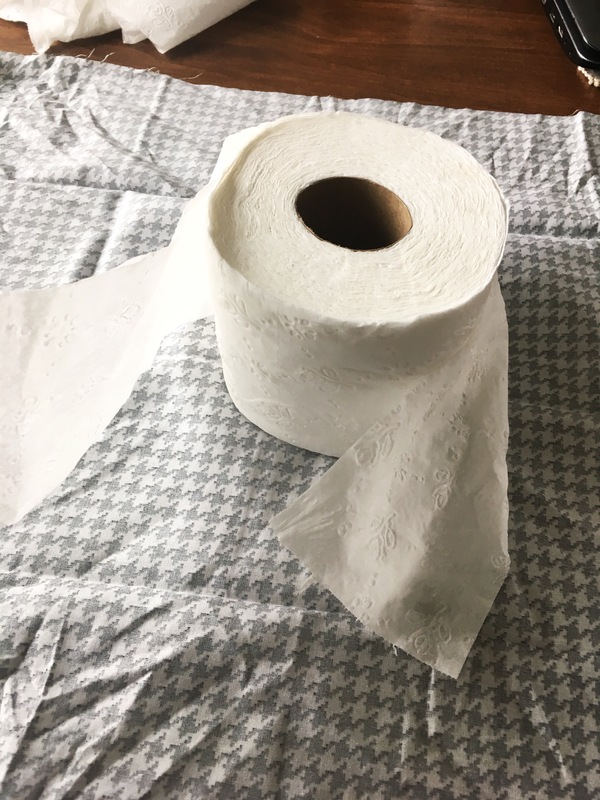 I added extra toilet paper to the roll, and tried to give it a rounded loose look. I loved the way this one turned out! There really are some many possibilities! 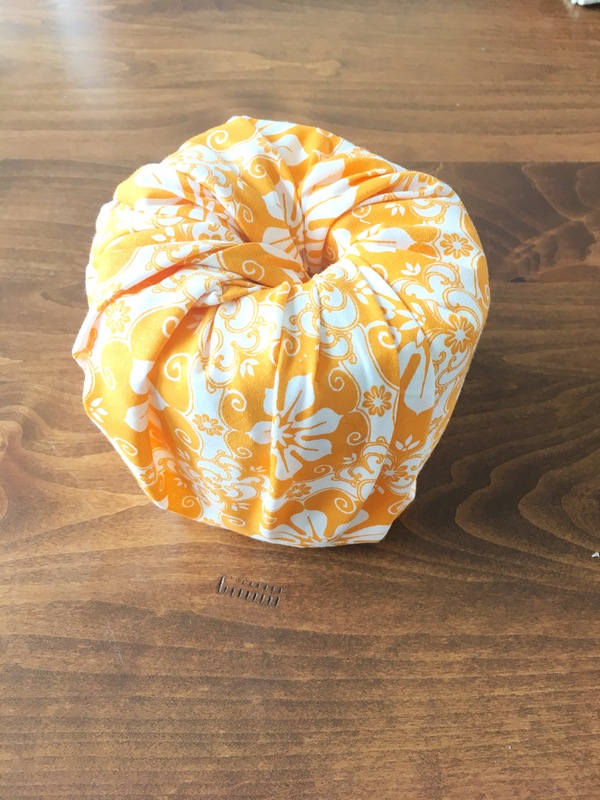 And for a whopping 97 cents…..you can make a dozen of these without breaking the bank! 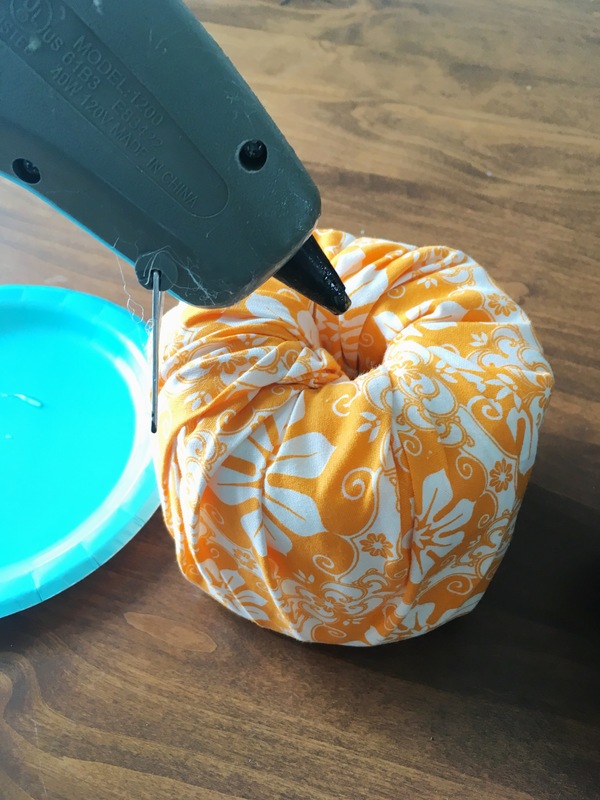 Have you ever made a toilet paper roll pumpkin before??? Let me know if you try it out, I would love to hear how they turned out. You might also like Rice Krispie Halloween Monsters Recipe and No Sew Trick or Treat Bag Tutorial.